Here's a peek into my day-to-day life. Click through for more information on the photographs and gifs. Here's my finished French Chocolate Cake from Coconut Dishes That Everybody Loves (1931). It was divine. Of course I love coconut. And chocolate cake. 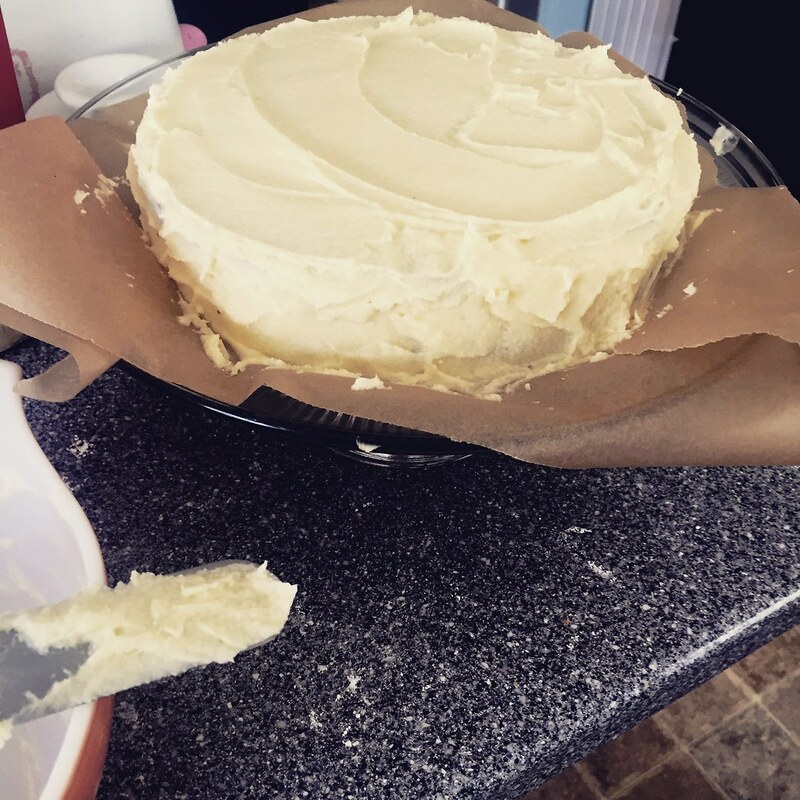 And buttercream frosting. 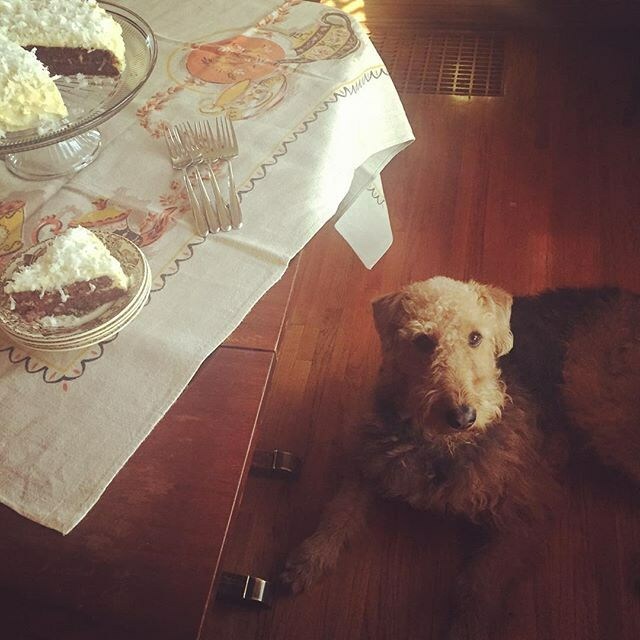 The hardest part was keeping Percy away from it! 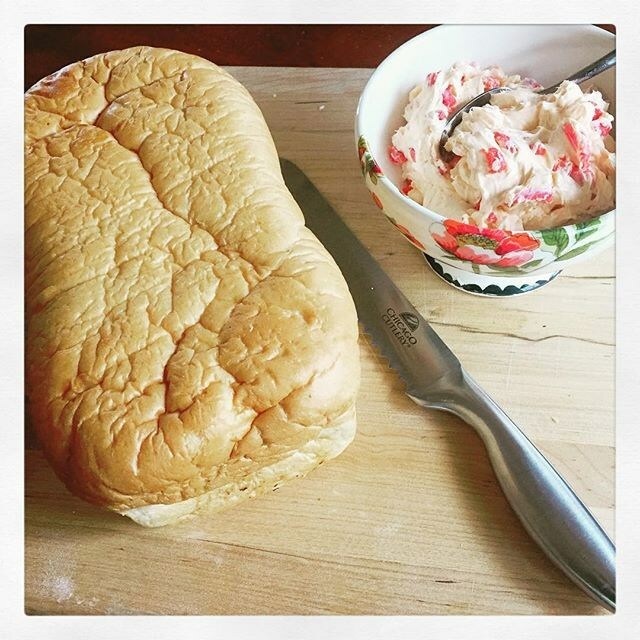 I made Pimiento Sandwiches for Valentine's Day at the behest of one of my 1920s books, A Calendar of Sandwiches. The spread is just 8 ounces of soft cream cheese mixed with 3 ounces chopped pimientos (drained), salt to taste, and enough cream to make it easy to spread. 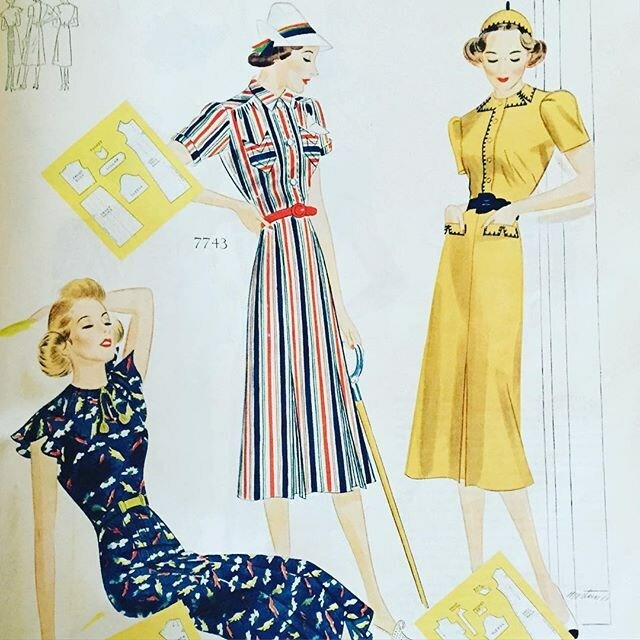 This illustration is from the February 1938 issue of Woman's Home Companion. Spring is on its way! First off, we have Ginger Rogers and Fred Astaire in Flying Down to Rio. I have watched this movie all the way through before (and there's a menu to go with it!) but now I just fast forward to the bits with Astaire and Rogers, usually just "The Carioca" and "Music Makes Me" (both pictured above). I do like the gleeful way Flying Down to Rio takes advantage of the lack of production code at the time. Check out Ginger's see-though dress! And those pelvis-to-pelvis dance moves! 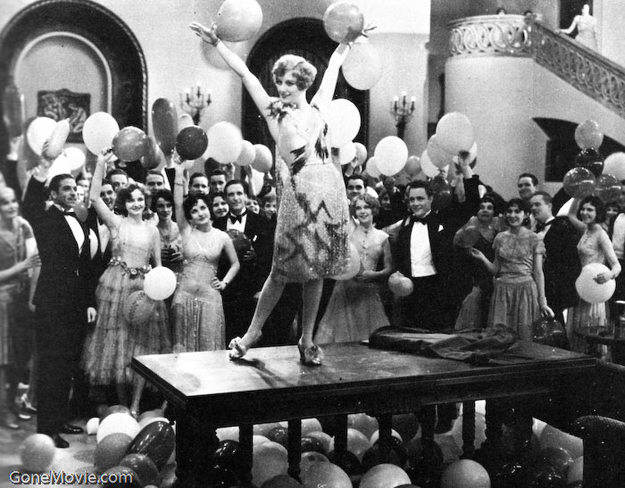 Our Dancing Daughters is such a fun silent film. Such daring behavior for young ladies! 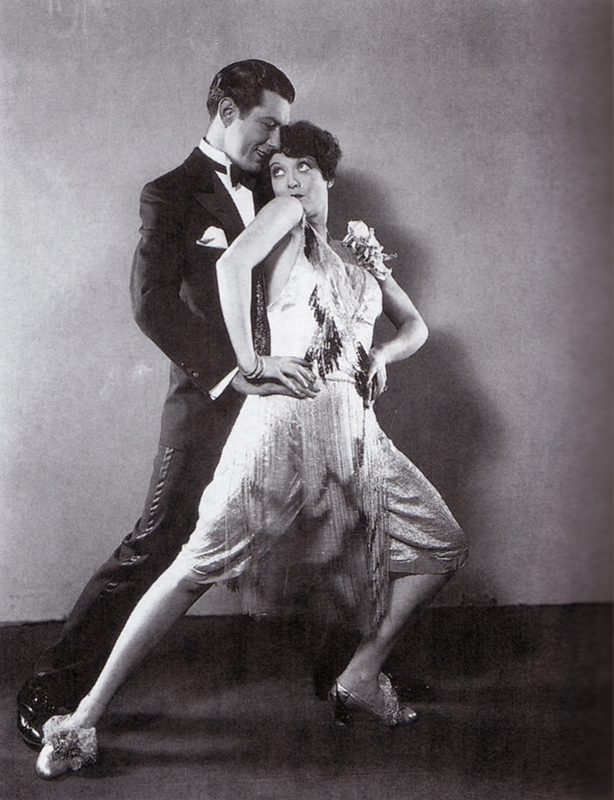 Joan Crawford dances on tables and falls for Johnny Mack Brown. The costumes are great and Anita Page is ridiculous and bitchy in the best way possible. Definitely worth the watch. That's all, folks! Have a great weekend and I'll see you back here in two weeks. I've been wanting to share a bit of my normal (ha! ), day-to-day life with you. 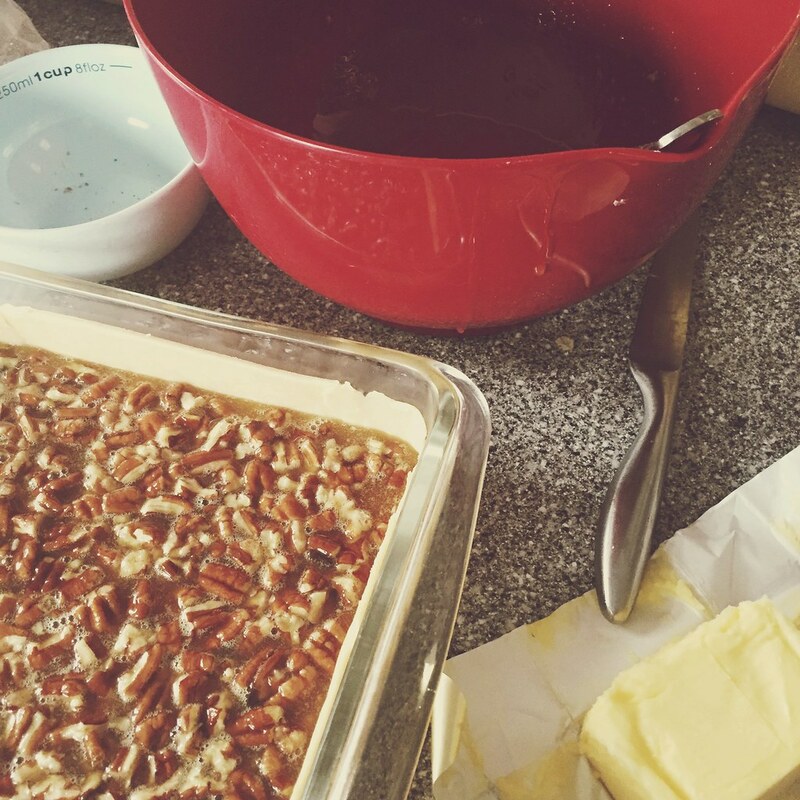 Here you'll find what I've been cooking, watching, and reading this week. 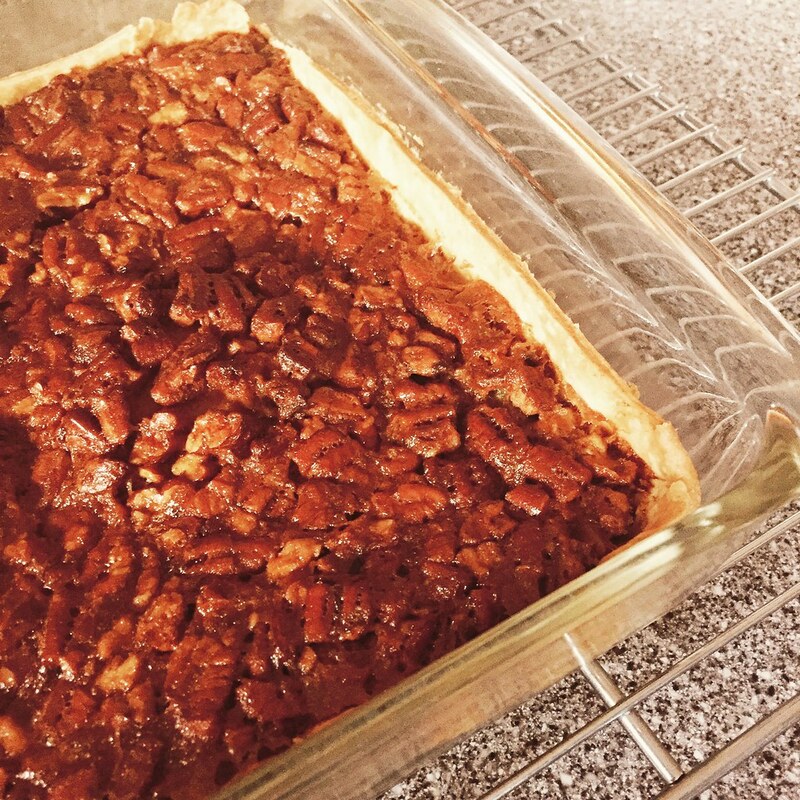 First off, here's a little series on Pecan Pie Squares. The recipe came from the February 1938 issue of Good Housekeeping and boy, were they delicious. 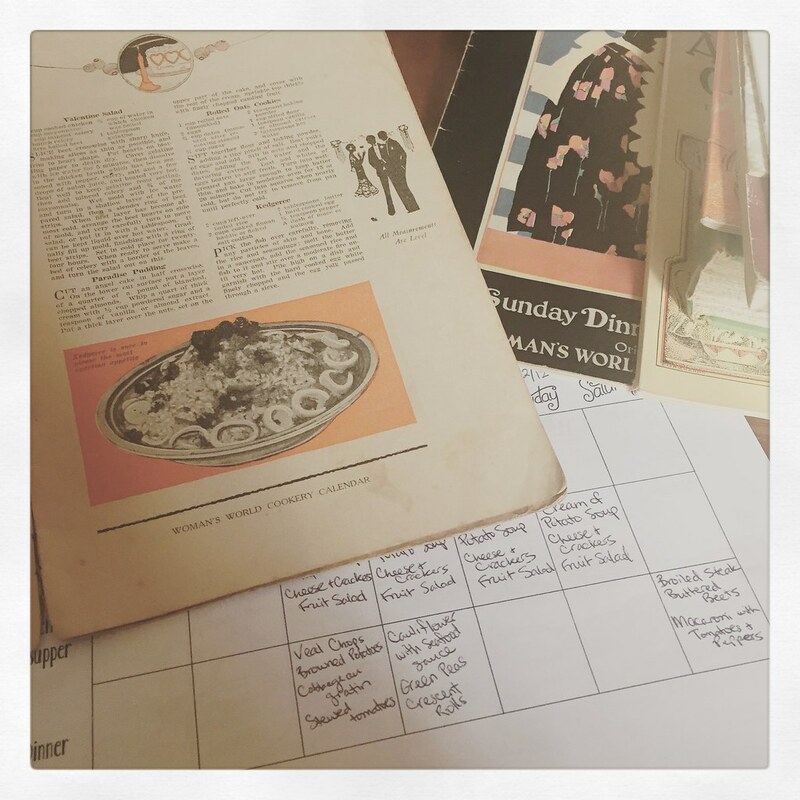 On Tuesday, I did some menu planning for the week. Check out my 1920s pamphlets! Aren't the illustrations swell? 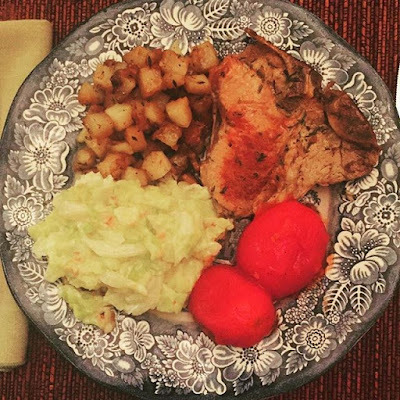 Wednesday's dinner was an old favorite: veal chops with browned potatoes, stewed tomatoes, and the best creamed cabbage ever. Click here for the recipes. Thursday afternoon's project was a recipe from a 1931 pamphlet I picked up last month: Coconut Dishes That Everybody Loves. 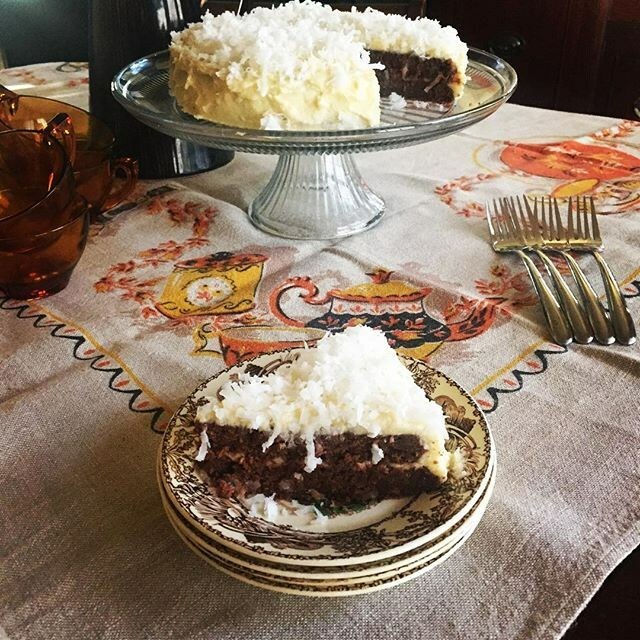 This chocolate cake has coconut baked in it! Isn't Kay Francis the best? I watched Dr. Monica (starring Francis and Warren William) and loved how all the women in the film have careers. Kay Francis is an obstetrician, her best friend is an architect, and "the other woman" is an aviatrix. There's no hand-wringing or choosing between family and career. That's one of the reasons why I love pre-code films. I also noticed while watching Dr. Monica that the music sounded familiar. 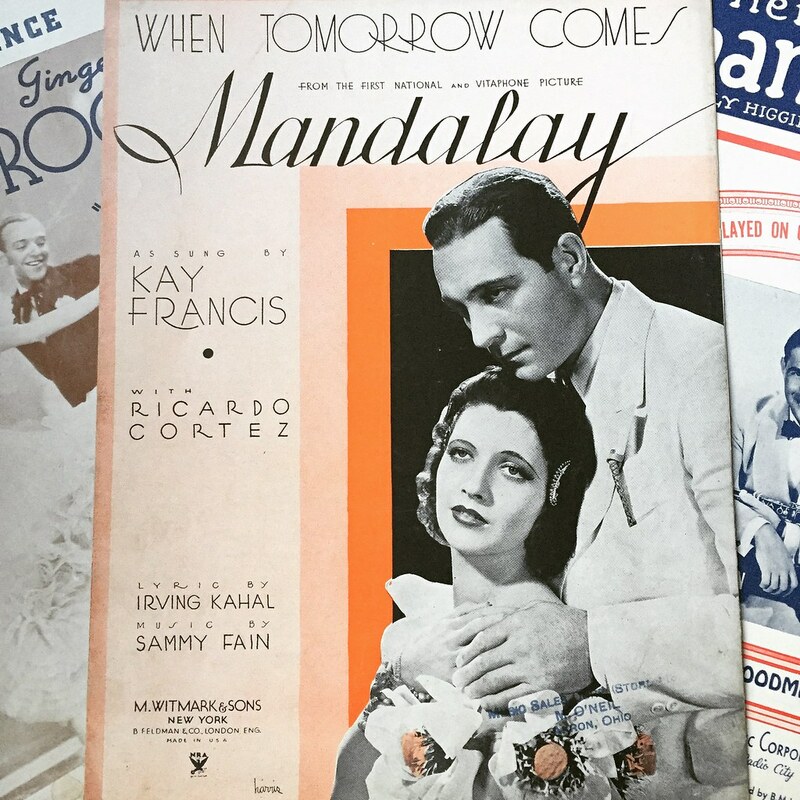 That's because it was "When Tomorrow Comes," which Kay Francis sang in Mandalay (another pre-code I love). I got on ebay and found the sheet music! 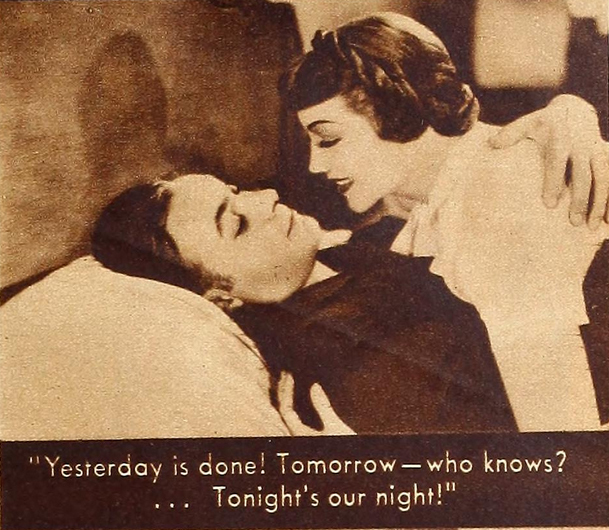 Continuing with another pre-code...I watched It Happened One Night for probably the billionth time. There's so much to love about this movie. Clark Gable and Claudette Colbert are fantastic and the supporting cast (Walter Connolly, Roscoe Karns, Alan Hale) is wonderful, too. Here's one from our February 1938 Films collection: Wells Fargo, starring Joel McCrea and Frances Dee. I don't think it's the best movie ever (but it is an effective vehicle for promoting Wells Fargo), but there's Joel McCrea and that kind of makes up for it. 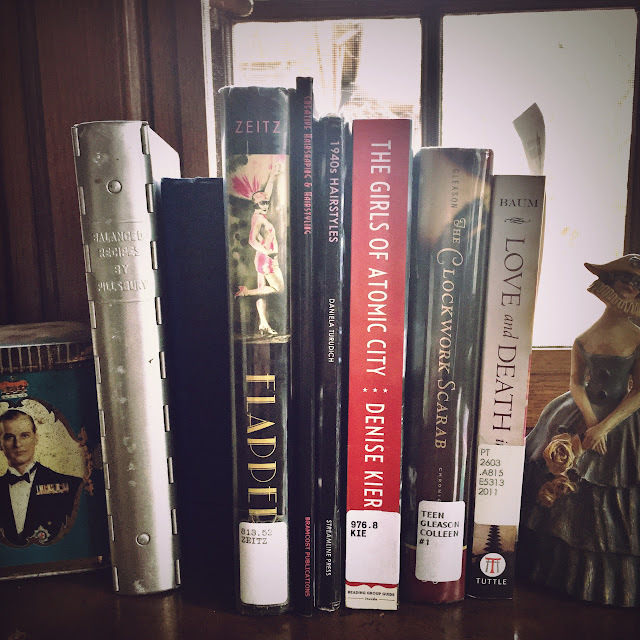 I usually have several books going at once. 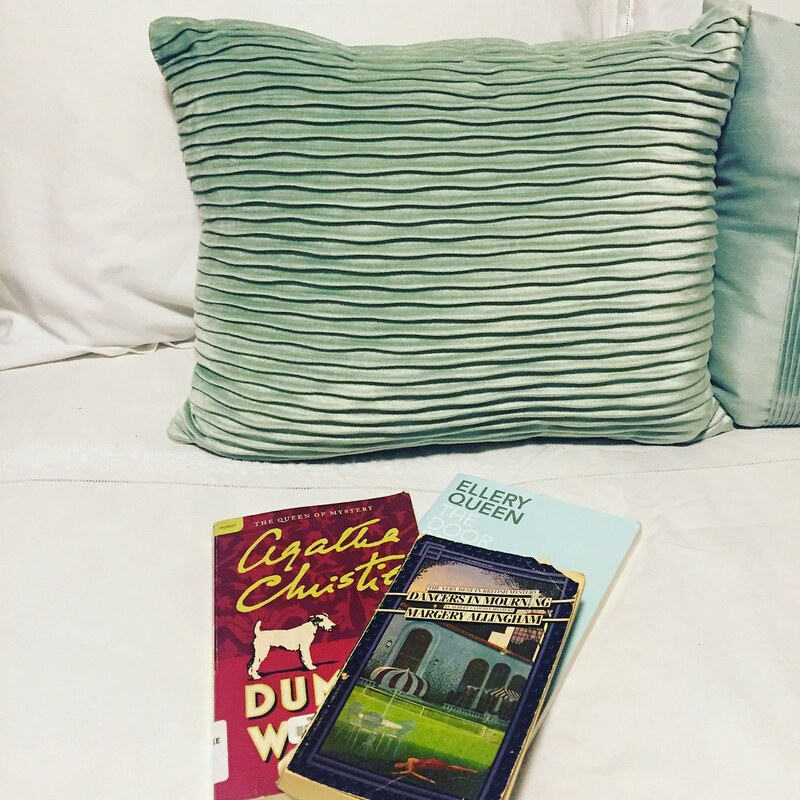 Here's a trio of 1937 detective novels: Agatha Christie's Dumb Witness, Ellery Queen's The Door Between, and Margery Allingham's Dancers in Mourning. I've already finished the Christie and the Allingham and enjoyed them both. 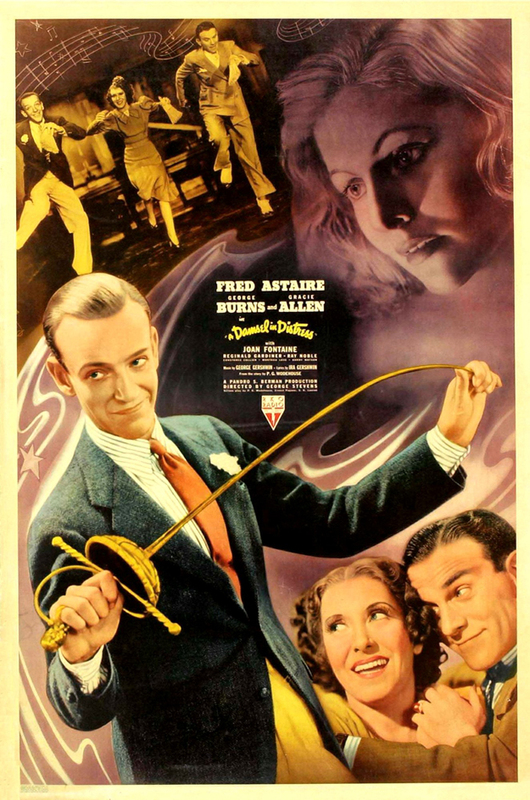 One of the main characters in Dancers is so obviously based on Fred Astaire. Can you imagine Astaire as a potential killer? Allingham will have you believing it! Thanks to the magic of interlibrary loan, I got my hands on a copy of 1940s Hairstyles. 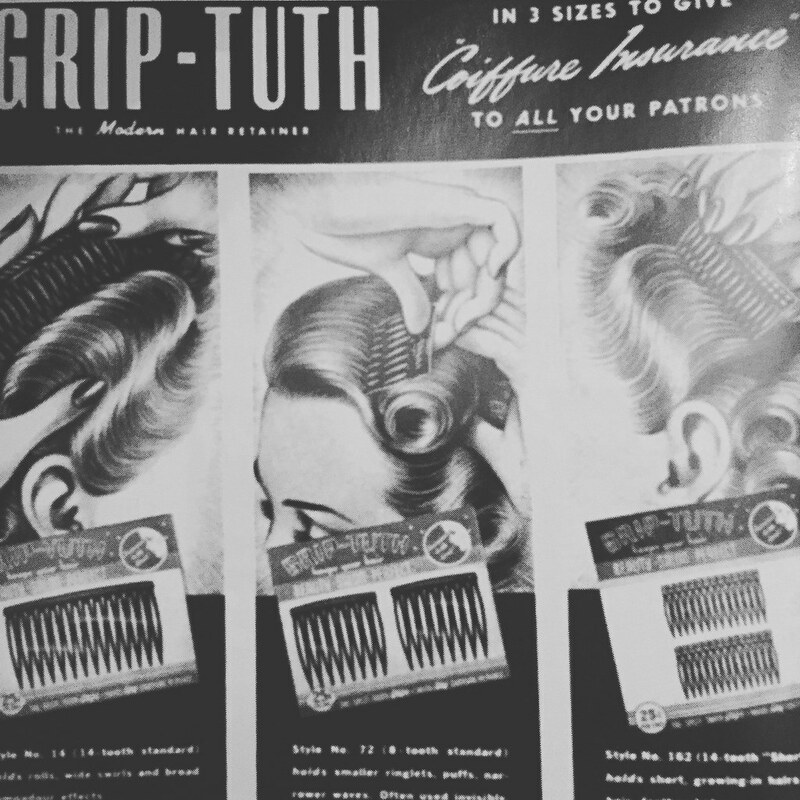 I haven't tried any new styles yet, but there was an ad for my favorite side combs, Grip-Tuth. I won't use anything else, because with the other brands, the comb starts working its way out ten minutes after it's put in. Grip-Tuth lasts all day. Really. 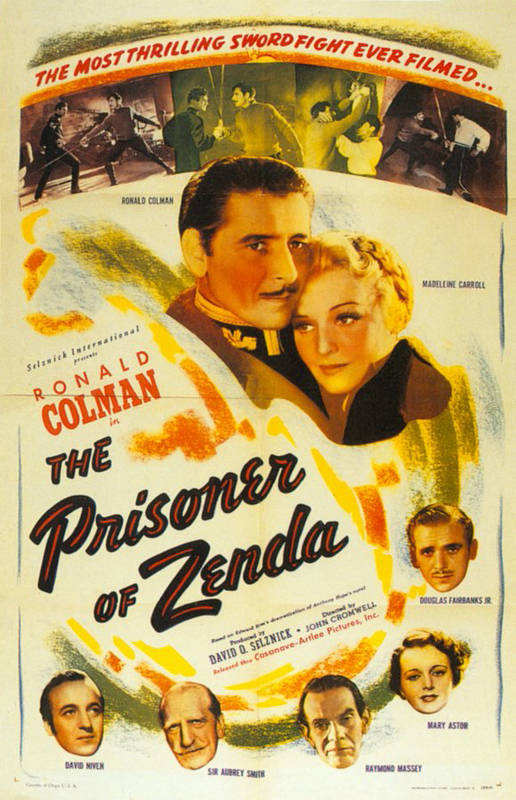 Today's movie is another starring Carole Lombard. She certainly was busy! 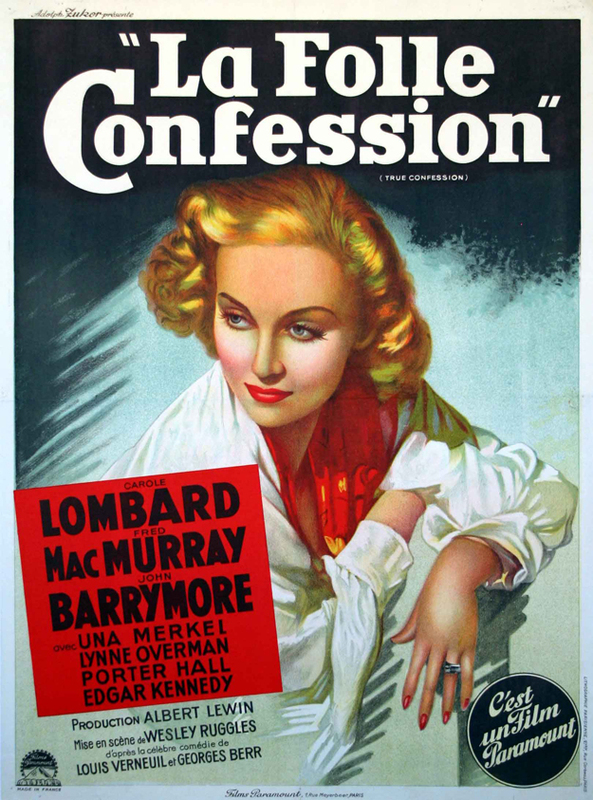 Not nearly as well known as Nothing Sacred, True Confession stars Miss Lombard as the wannabe novelist wife (Helen) of a much-too-honest-for-his-own-good attorney (Ken), played by frequent co-star Fred MacMurray. Because he won't take on any guilty clients, Ken isn't making much money and Helen can barely make ends meet. So she decides to go out and get a job. One thing leads to another and Helen finds herself a murder suspect! Una Merkel and John Barrymore co-star in this zany comedy. 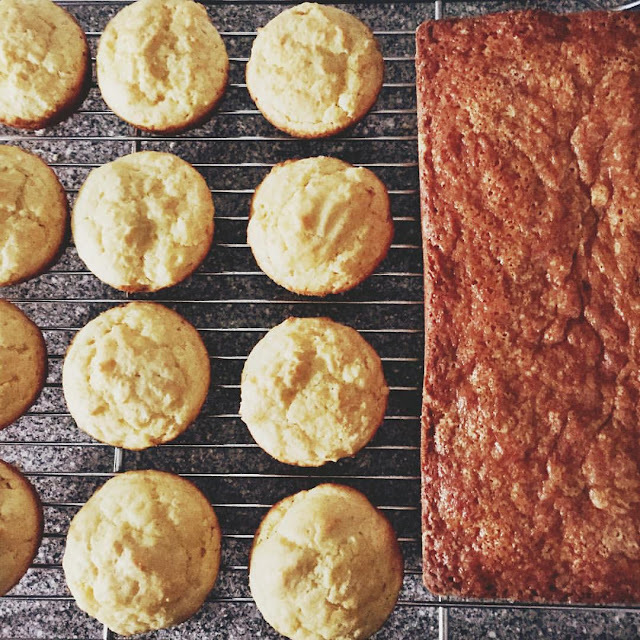 So much recipe testing is happening on my instagram feed. Check it out! Please sign up for my weekly newsletter so you don't miss any posts! 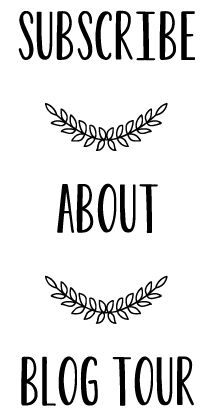 I also share extra content (it's spiffy) with my newsletter subscribers. Preheat waffle iron. 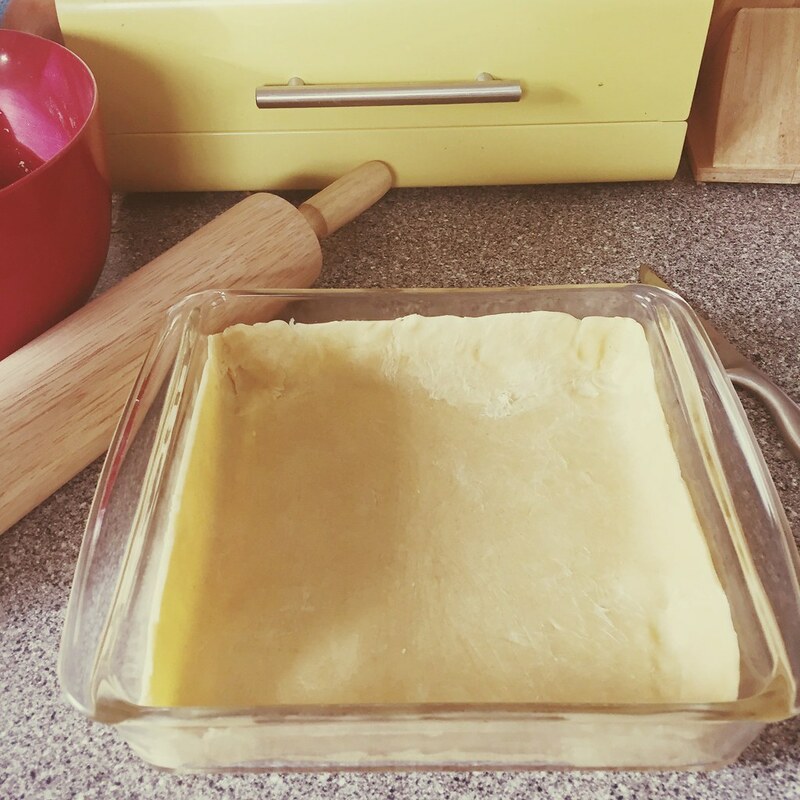 In a large mixing bowl, beat the eggs and then beat in the rest of the ingredients and keep beating until smooth. Liberally grease your waffle iron and pour on about 1/5 of the batter. It's thick, so you may need to spread it out a bit. 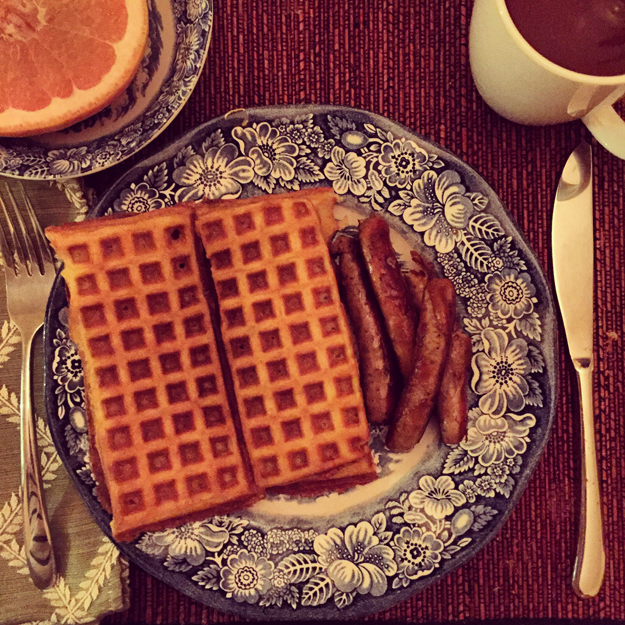 Cook until waffle no longer steams (or however your waffle iron works). Today's film is an all-time favorite: Nothing Sacred. Boy, do I love a screwball comedy! 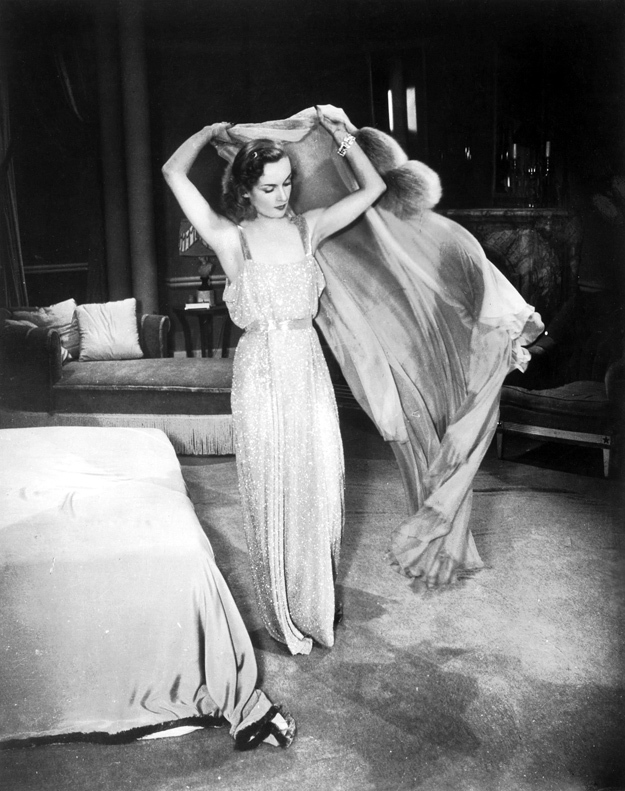 And Carole Lombard! Even acting in a completely ridiculous way, she ends up looking totally glamorous. 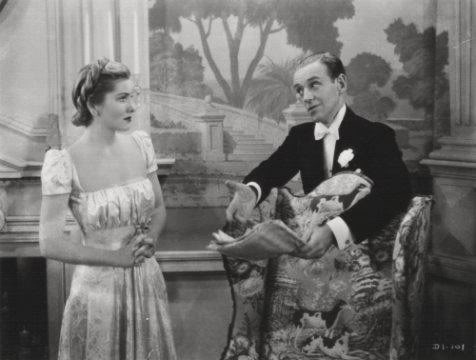 And Fredric March! He's adorable. My guess is that you've probably seen this one, but if you haven't, you seriously need to watch it this weekend. Nothing Sacred is a send-up of the sensationalist press, so desperate for new and lurid stories to print that journalists and editors don't always take the time to check up on their sources and subjects. 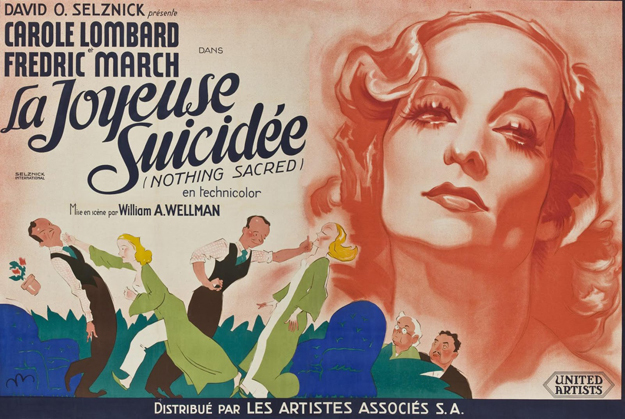 Fredric March plays a shoot-from-the-hip journalist who travels to the wilds of Vermont to do a story on a woman who is slowly dying of radium poisoning (Carole Lombard). It's silly and wacky and often very funny. Well, it's been a good long time since I last did a regular feature on this blog, so I thought I'd get things going with movies from 1938. This is the first post of this group, but you'll be able to click the logo above and it will take you to all the posts in this series. 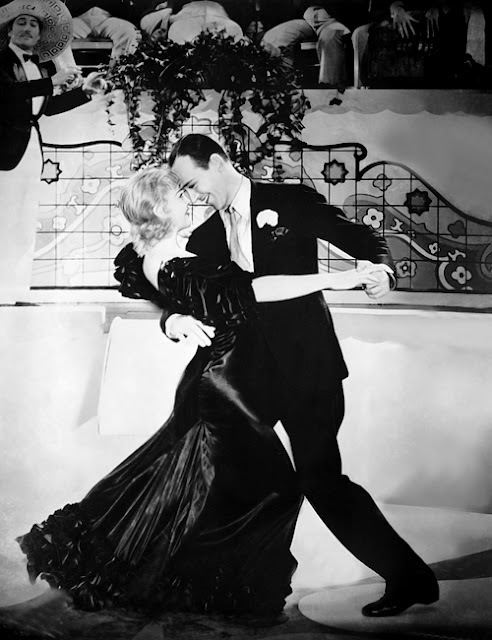 After seven movies together, Fred Astaire and Ginger Rogers were ready for a little break from each other. Also, the returns from Shall We Dance hadn't been as good as their other movies. 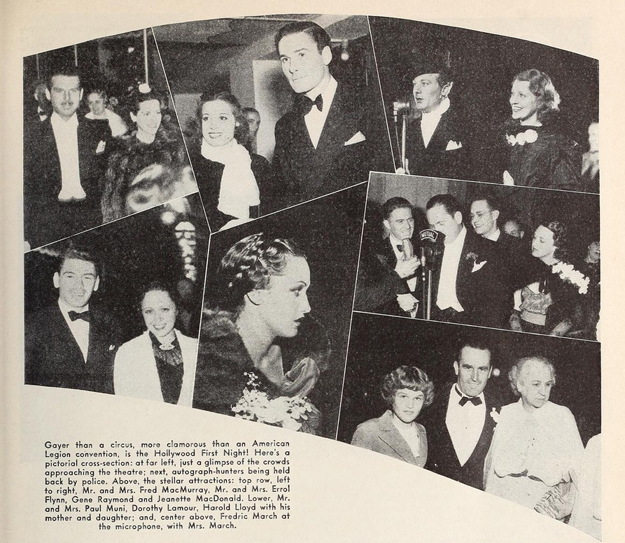 So, RKO let Rogers stretch her acting muscles in Stage Door and teamed Astaire with radio stars (big, big radio stars) George Burns and Gracie Allen. Burns and Allen are the nice surprise in A Damsel in Distress. Did you know they could dance? A Damsel in Distress is entertaining enough--the high points are the Gershwin score ("Nice Work If You Can Get It" et al.) and George Burns and Gracie Allen. 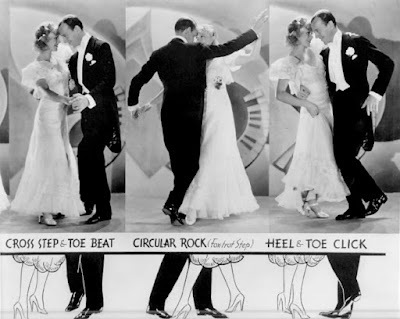 Of course, Fred Astaire's dancing is top notch, as always. Joan Fontaine is a bit awkward but she's really only there to be pretty, so it's OK. The plot is pure fluff but pleasant enough and written by P.G. Wodehouse (although not up to the standard of his Jeeves or Blandings stories). Damsel has quite a few similarities to the Blandings Castle series: a lord obsessed with gardening who lives with his snobby sister, for example. I do feel, though, with such talent at hand (Astaire! Gershwin! Burns and Allen! Wodehouse!) that the film is a bit of a disappointment, but it's not a bad way to while away the time. P.S. 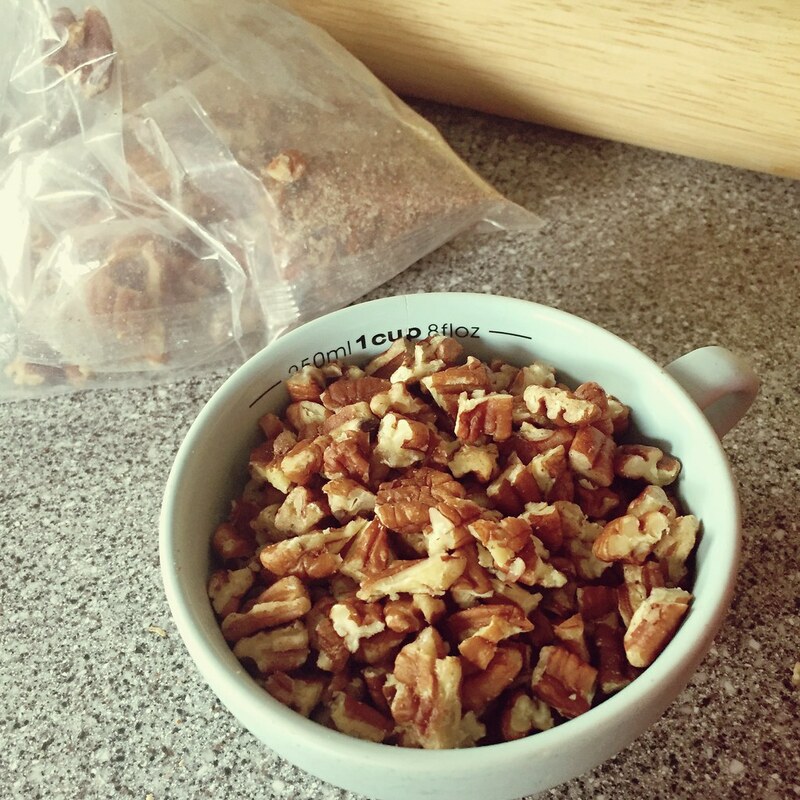 If you'd like to see what I've been up to in the kitchen, check out my instagram!